Running Times*: Foyer Doors - 6:00pm Auditorium Doors - 7:00pm Start - 7:30pm Finish - 9:00pm *Please note, all times are approximate and subject to change. "…when the three women sang together, their voices became one instrument sharing every breath" - The New York Times "You'll find quiet beauty, gorgeous playing and harmonies touching, visceral intimacy" - NPR "Delicately plucked acoustic guitars and loneliness-quelling harmonies" - Rolling Stone I'm With Her is Sara Watkins, Sarah Jarosz and Aoife O'Donovan: an "alliance of Americana virtuosos" (The New York Times). 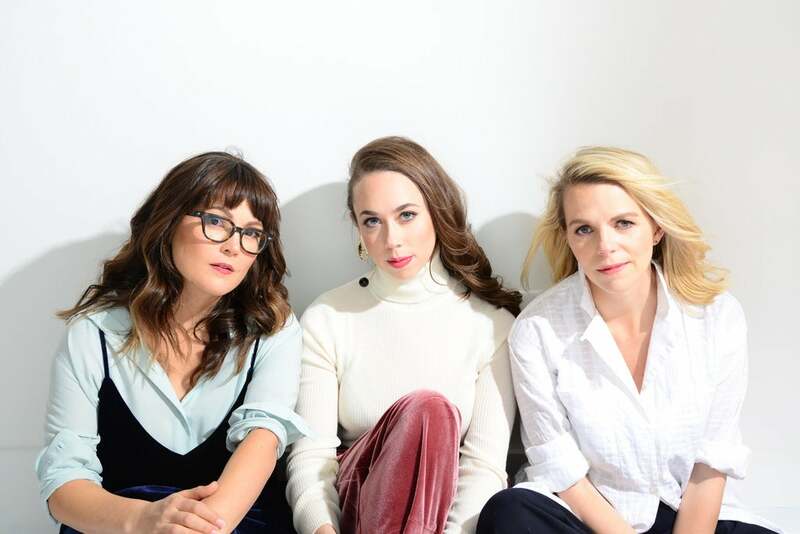 These three multi-Grammy-Award-winners have also individually released nine solo efforts, co-founded two seminal bands (Nickel Creek and Crooked Still), and contributed to critically acclaimed albums from a host of esteemed artists. Please Note :Fees & Charges: A Handling Fee from $6.00 per transaction applies. In addition a delivery fee may apply depending on the mode of delivery selected. Wheelchair/Accessible Seating: For all enquiries please contact the Box Office on (02) 8256 2222. Disabled Parking is available. Children's Policy: Children under 2 years are admitted for free provided they do not occupy a seat. Start Date Time : "Sep 17, 2018"
Monday to Friday 9am to 5pm and from 2 hours prior to all performances. For all Wheelchair/Accessible seating enquiries please contact the Box Office on (02) 8256 2222. Disabled Parking is available. For all Wheelchair/Accessible seating enquiries please contact the Box Office Disabled Parking is available.